We don’t know for how long, though. Epic Games has enabled gifting in Fortnite: Battle Royale again for a limited time, the company has announced. The system should already be available to all players, and they can now hop into the game and send their friends any cosmetic item they want from the Item Shop. Players who want to send gifts to their friends must have two-factor authentication turned on in their Epic Games account, and they can only gift players who have been in their friends list for over 48 hours. There’s a limit of three gifts sent per day, but there’s no cap on how many items a player can receive. 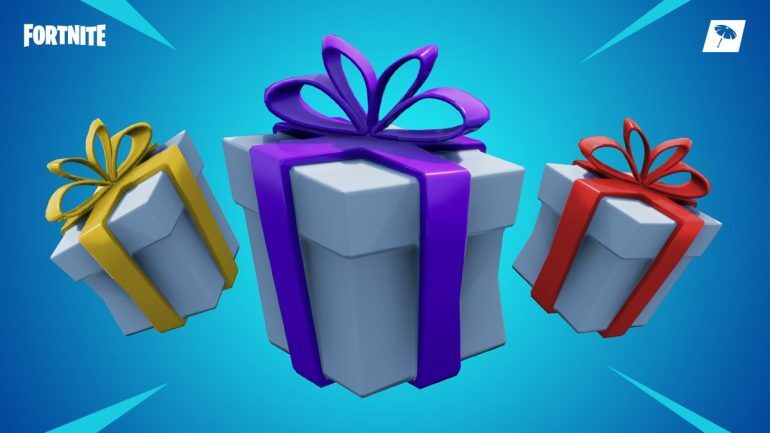 All you need to gift an item to a friend is to go to the Item Shop, select the cosmetic item you want to gift, and select “Buy as a gift.” All players that you can send the gift to will appear in a list. Select the recipient and send the gift to complete the process. Remember that it’s impossible to gift items in your Locker to friends. Gifts are not refundable, and players can also choose to not receive gifts from friends in their account settings. The last time Epic let players gift cosmetic items to their friends in Fortnite was near the 2018 holiday season with the v6.31 update. The company let players gift for a week before turning off the feature. Epic has yet to reveal when it will disable the gifting system again.